Permanent identification and central data storage provides breeders with a reliable source of information about dogs they may be planning to use in their breeding program. This data storage is on a website available to anyone. Breeders can provide copies of CHIC records for new puppy owners and other breeders. Those records could also be obtained from the CHIC database online. 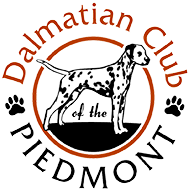 Access to CHIC data provides information to parent clubs (for example The Dalmatian Club of America) to help them prioritize research areas. It also helps them assess testing programs and incentives they may have established. Access to CHIC data can be used by researchers doing breed and all breed health studies on genetic diseases. Related dogs will have testing results in the CHIC depository.